I am writing to announce that Tracey Hucks ’87, MA’90 has been named Provost and Dean of the Faculty. She will return to her alma mater and take up her duties on July 1. Tracey is currently the James D. Vail III Professor at Davidson College and a nationally regarded scholar of American religious history and Africana studies. As an undergraduate at Colgate, Tracey was awarded a George W. Cobb ’94 fellowship by former President George D. Langdon Jr. and was inducted into the Konosioni Senior Honor Society. Colgate University also awarded her a master’s in religious studies (with distinction) in 1990. She earned a second master of arts in 1995 and a PhD from Harvard University in 1998 in religious studies, with a scholarly focus on the religions of Africa and the Americas. At Davidson College, she was the inaugural chair of Davidson’s Africana studies department, overseeing all aspects of the department’s development, from hiring tenure-track faculty and designing the curriculum to drafting a strategic plan and raising financial support. She served on a committee overseeing a $1.2 million Mellon Foundation grant to “reimagine humanities curricula for an interconnected, rapidly changing world”; was affiliated faculty in the religion department; and was a member of the advisory committee of Davidson’s Center for Interdisciplinary Studies, which supports initiatives in pedagogical innovation, curricular self-design, and intellectual support of student research across the college’s academic divisions. 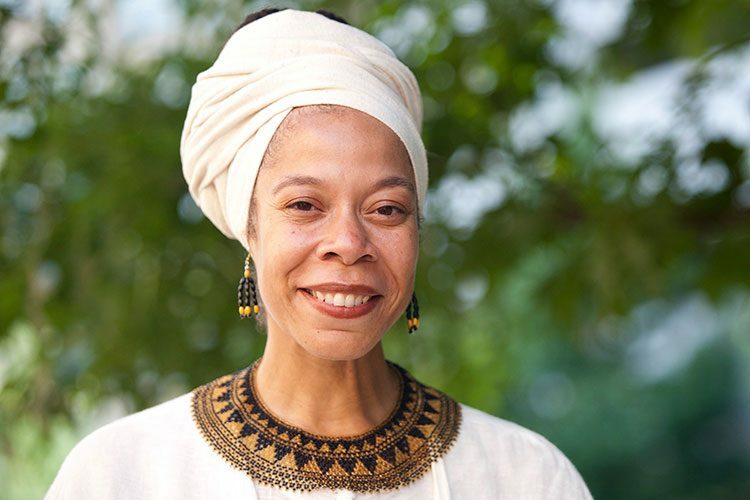 Prior to joining the Davidson faculty in 2014, Tracey spent more than 15 years at Haverford College, where she rose from assistant professor to professor and served, on multiple occasions, as chair of the Department of Religion. She also directed Haverford’s Bi-College Africana Studies Program with Bryn Mawr College; chaired a presidential working group on diversity initiatives; served on the Educational Policy Committee, which oversees new academic initiatives and establishes curriculum requirements; was the faculty coordinator for the Mellon Mays Undergraduate Fellowship; and was elected as a faculty representative to the college’s tenure and promotion advisory committee. Hucks also served as a faculty mentor and instructor in the John P. Chesick Scholars Program, an annual five-week summer student residency named after the late Haverford chemist and focused on intensive study in the quantitative/natural sciences and humanities. The author of Yoruba Traditions and African American Religious Nationalism — as well as a new co-authored book, Religious Vocabularies of Africa: Obeah, Orisa and Identity in Trinidad, under review with Duke University Press — and nearly 20 published articles, Tracey has conducted research in Brazil, England, France, Trinidad, Jamaica, Nigeria, Cuba, Kenya, and Tanzania. A member and officer of numerous professional associations, she was elected to the program committee of the American Academy of Religion. Last winter, she spent two weeks on campus as Colgate’s inaugural Alumni of Color Scholar in Residence. I am excited to welcome Tracey back to Colgate. She is an intellectual of the first order and a formidable scholar across a variety of fields. At both Haverford and Davidson colleges, she has proved herself to be an astute and creative academic administrator. I look forward to working with her to support Colgate’s faculty and to strengthen and enrich Colgate’s academic enterprise. In closing, and most importantly, I must thank the members of the search committee – Jennifer Brice (chair), April Baptiste, Catherine Cardelús, Alan Cooper, Heather Roller, Lynn Schwarzer, and Christopher Wells – for their extraordinary work on this search. Thank you as well to all of those who attended presentations and met with our candidates.